Virat Kohli and Anushka Sharma have tied the knot, say reports. The cricketer and the actor are going to make it official soon. 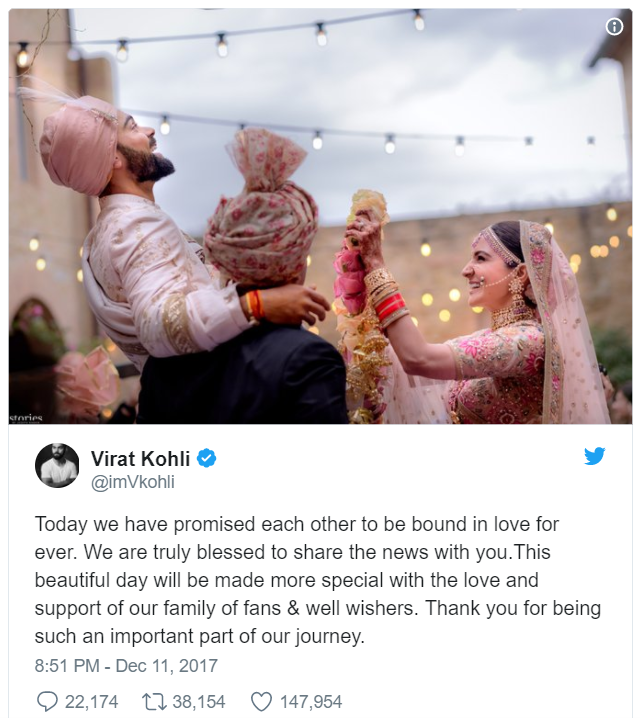 When the Indian skipper and the actress left the country last week, many believed that the wedding was to take place by the weekend that we just said goodbye to. An insider told a news channel that Virat and Anushka got married this morning. 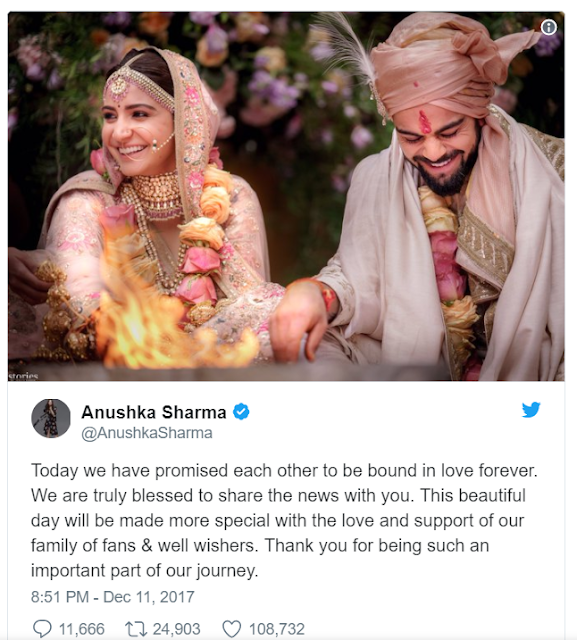 Astrologers are already out with their predictions for Virushka as a married couple. The wedding of this esteemed couple has taken the country in a frenzy and we wish them all the best.